During the first day around 25 participants from all the partner organisations across the three participating countries discussed in detail the strategy, the key work packages, the tasks, milestones and deliverables of the project and agreed upon the working procedures and the short-term activities. 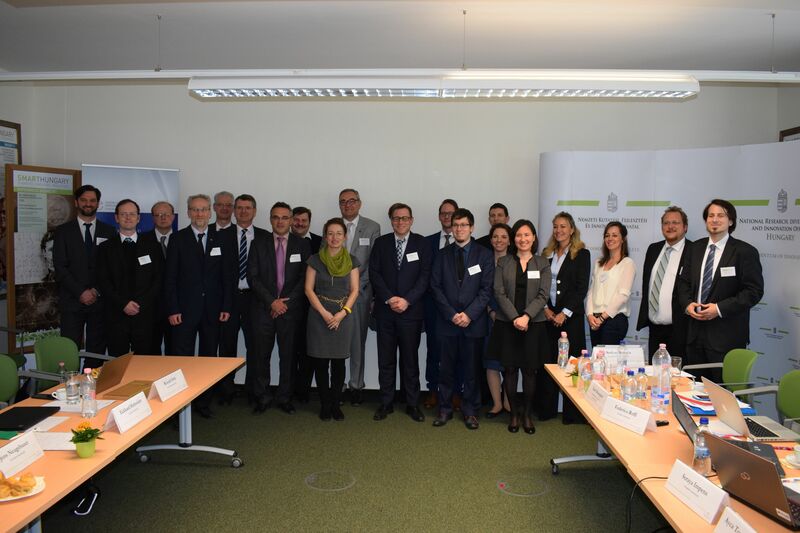 In the second day the official opening ceremony of EPIC was held together with the other Hungarian Teaming project HCEMM-MOLMEDEX. From the European Commission Mr. Robert-Jan Smits Director-General for Research and Innovation greeted the two Hungarian projects, appreciated the planning efforts of the two consortiums and mentioned the main expectations from EU side towards the newly established Centres. József Pálinkás, President of the NRDI Office emphasized the Hungarian success in the Widening initiative and assured the support of the NRDI Office. (link NRDI, photo).